Ten copies of the MISSING Game, each on 2 disks for use in a computer lab (installation software is included). Two to three children should share one computer. A red Teacher’s/Parent’s Guide with game solutions in the back. A black Detective’s Manual which your students will use to navigate the game. This copy is the master; you will need one photocopied manual for each computer station, each time you use the game. An informational DVD to educate you and other adults. The DVD will provide more information on the tactics and techniques of criminals who use the Internet to lure children into danger and crime. An e-guide which has printable lesson plan for using MISSING and other resources. 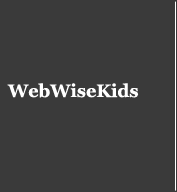 Note: Web Wise Kids can only ship orders for Missing to the United States. For orders to Canada and other countries, please see www.livewwwires.com, or email to [email protected].